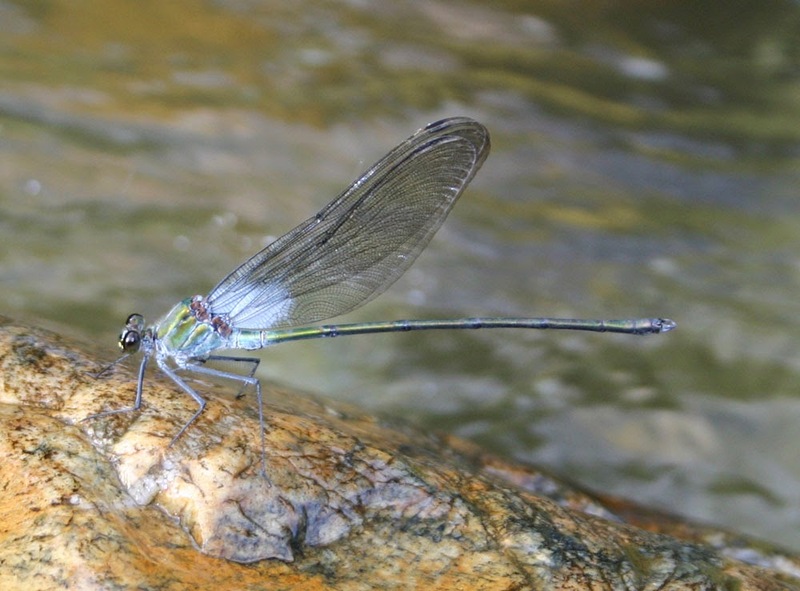 The species is a heavy built damselfly, and it is one of the biggest zygopteran. The body is variable from dark green to copper and there are pruinose patches on the synthorax and the abdomen. Their wings are hyaline with smoky patch at base. In the mature forms, the wings somehow to be light orange and look dust. Male and female are not dimorphism so they look similar and female is distinct with her robust abdomen. They live in open clear and swift streams of secondary forests of high land in the North of the country with elevation over 700m. Mature forms do not fly far from their breeding habitats and the male keeps his territory even in rain. Individuals of both sexes perch not so high above of the water surface, usually they rest on rocks or water plants near the flowing water.